This Power Point template is designed for students to create their own digital flash cards to help study vocabulary words. 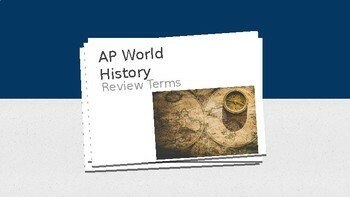 The title slide is set up for AP World History, but can be changed into any other course title. 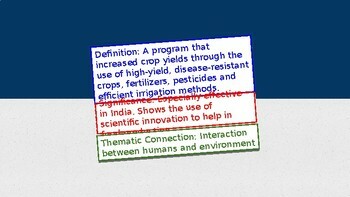 The information card provides 3 text boxes where students can type definitions, significances and thematic connections. 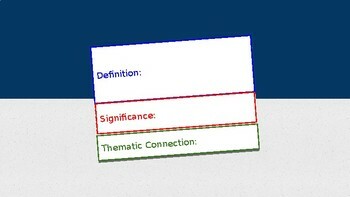 The term card provides a box to include an image of the term and a box for the term itself. The first set of cards are there to serve as examples.